The second card was for my brother, using a blue card from the Hobbycraft card pack. I wanted to keep it relatively simple, so just opted for two rectangles of paper from the Pink Paislee: Indigo Bleu set, one of which I set out with foam pads. 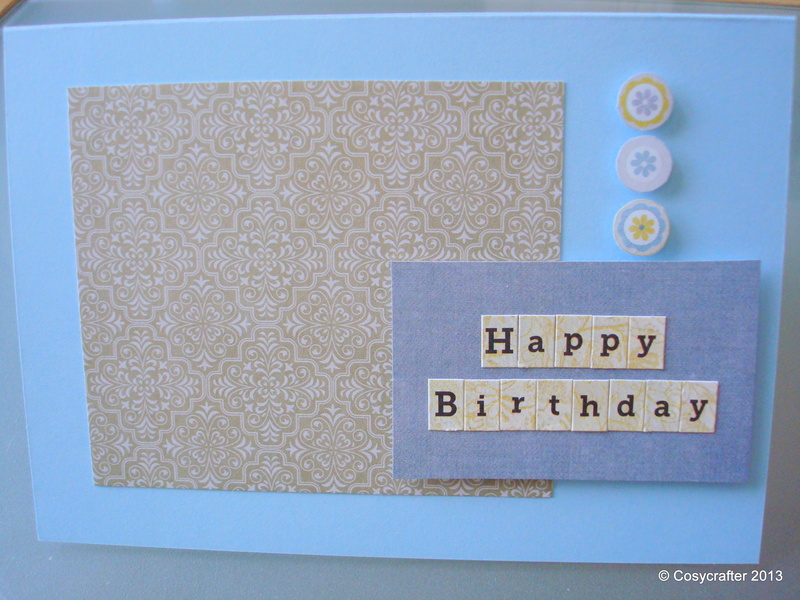 I then used the BasicGrey: Serenade stickers for the ‘Happy Birthday’. Finally, I felt it needed something else, so I cut some of the pattern out from one of the Indigo Blue papers to make three little flower details, and then stuck them in a line with foam pads. Who says men can’t enjoy flowers? The final card was for my niece, using a pink card and some squares of paper from the K Co: Sparkly Sweet and Papermania: Rose Garden sets. Then I used some fabric squares sent to me by my lovely friend Mary and some from a Moda charm pack: Birds and Berries set that was a birthday gift from Cheryl at The Cake Escape, and cut out butterfly shapes. 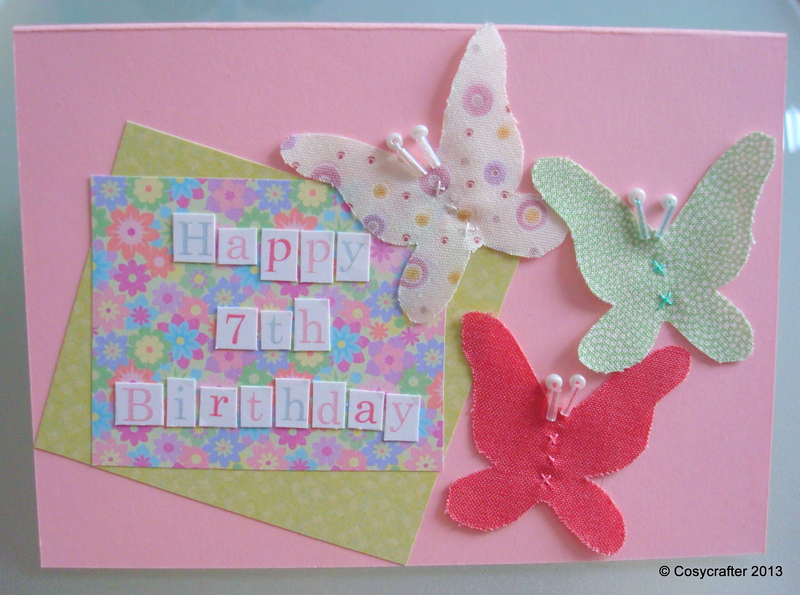 I put a couple of stitches into each butterfly to attach them to the card and then used some beads from Panduro for the antennae. And that’s the trio! 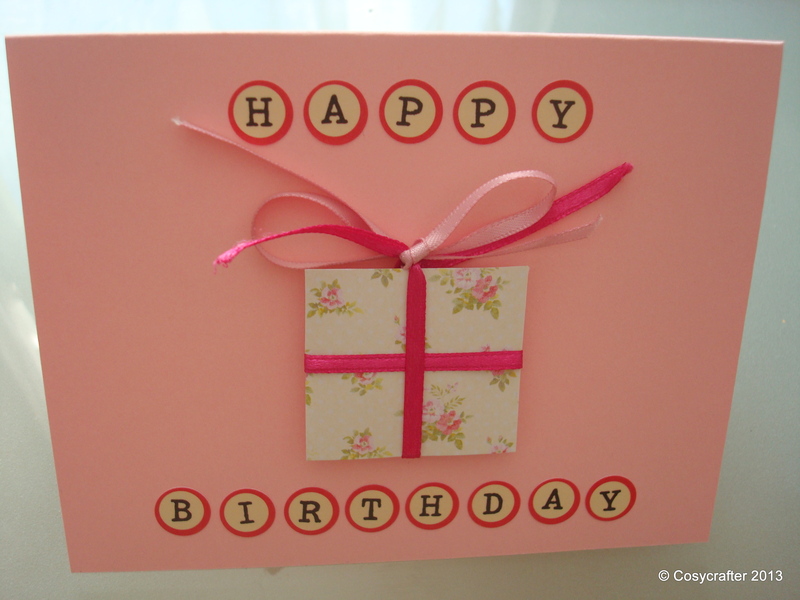 Things will be a bit birthday light for the moment, but hopefully I’ll get some more opportunities to make cards soon.